I recently purchased some music software because it was cheap. I wasn't looking to buy an automated chord generator. But when I stumbled upon this one, deeply discounted at $15, I thought why not? I might have a little fun with it in my home recording studio. Then I later watched a video that showed me how to use it to easily create melodies like bass lines and synth leads. All of a sudden, it was steal at that price—something I could envision being a very useful tool. That's how value works. There's a tangible aspect (price and product) and an intangible aspect (perceived benefits). There's potential value (such as buying an insurance policy) and realized value (when you need to use that insurance to avoid financial disaster). In the final analysis, value is largely a perception. Any attempt to measure it in objective terms falls short. A $100 bill has an objective value, but it's true value is only realized in how it is spent. 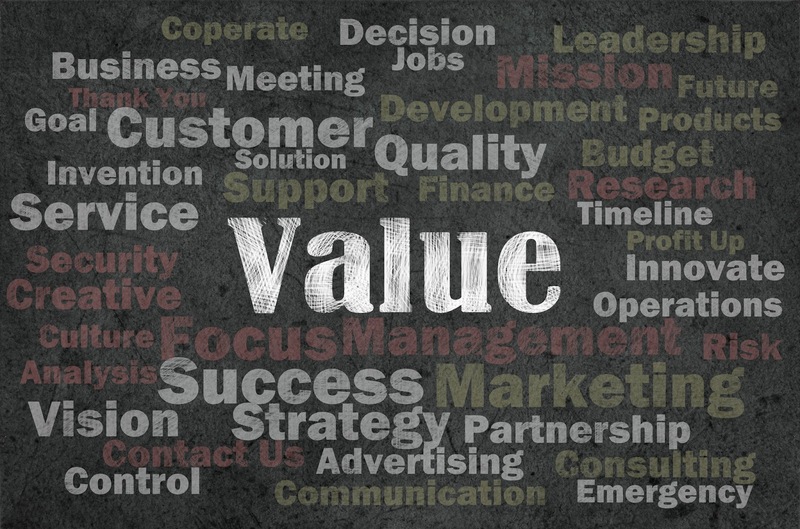 That intangible, subjective dimension of value is troublesome for many technical professionals. 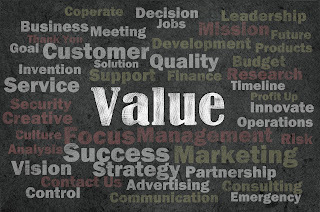 In my last post, I pondered why the subject of value creation is largely ignored in the A/E industry. I think that oversight has been costly. Clients don't fully appreciate the real value of our services, which contributes to them becoming increasingly commoditized. But you can hardly blame clients; the inability to fully realize the value of what we do starts with us. If you doubt me, read some of your firm's project descriptions—particularly if you work for an engineering or environmental consulting firm (architects do a little better job understanding subjective value). Do your write-ups point out the value of your work? That's highly unlikely, based on the thousands of project descriptions I've read over the years. Most provide little more substance than a task list—here's what we did. There's usually no description of why the project was necessary, what problem it was supposed to solve. And it's uncommon for project outcomes to be mentioned. What results did your firm deliver? Our project descriptions are symptomatic of a deeper issue. We see technical problems and solutions. We don't usually think in terms of business solutions. Yet business solutions are more valued by clients than technical solutions because they deliver bottom-line results. Now wait a minute, you might protest, our work does deliver business value! No argument from me. The design and consulting services we provide enable business functions, strengthen balance sheets, boost shareholder value, help create vital infrastructure, improve operational efficiency, convert sites into productive use, create customer experiences, build public goodwill, improve the client's brand, etc. So why don't we get credit for the business value we provide? Because we fail to translate our technical solutions into business value. We can't expect clients to make a connection that we don't make ourselves. What are some steps we can take to better translate the true value of our work? Work harder at seeing projects from the client's perspective. Value is defined by the recipient. So the first step of translating value is to understand the "language" of the ones receiving it. One technique I've found helpful for doing this is to explore client needs at three levels—strategic, technical, and personal. Of course, clients aren't thinking in terms of three levels of needs. But this approach helps push us out of our common myopia regarding technical matters and better aligns our problem definition with their more comprehensive perspective. Identify the desired business outcomes. We need to position ourselves as business solution providers with a technical emphasis. That won't be easy; we've long painted ourselves into a corner. Thus clients don't usually volunteer insights for us regarding their nontechnical issues. We have to take the initiative. Exploring with clients the business needs, priorities, and outcomes associated with their projects is a good starting point. These are the "strategic drivers" that are the impetus behind the projects we are hired to perform, thus we should plan and execute our projects accordingly. Use the integrated solution design process. This is an approach I developed years ago as a proposal manager to increase our win rate, and I'm now helping firms apply it to their project planning. As illustrated below, this process starts by characterizing client needs at the strategic, technical, and personal levels, as mentioned earlier. Then it considers the desired outcomes at each level, leading to development of a solution that delivers those multifaceted outcomes. The process is simple in concept, but takes time to master. We're working against a long tradition of reducing projects to their technical scopes. Don't overlook the value of the client experience. Our services aren't just received, they're participated in. Therefore the quality of the working relationship constitutes a substantial part of the value we provide. The best companies in delivering great customer experiences have a process—they're intentional, not just aspirational. A good start to defining such a process is to (1) "benchmark expectations" about the working relationship in advance of doing the work, so you know how the client defines a great experience, and (2) solicit regular feedback from the client how your firm is doing in meeting those expectations. Make delivering results the central message of your business development and marketing. There are plenty of A/E firms that are proficient in performing technical scopes of work. That's not a compelling sales pitch. But shift the focus to how you deliver business results and watch clients take notice. A good place to start this transformation would be to revisit those project descriptions. Get project teams together to review their understanding of the nontechnical needs and outcomes associated with those projects. You might even try to retrospectively apply the integrated solution design process. Perhaps this exercise will bring to light issues that were previously neglected or underemphasized. Or more likely, it will help you realize what you didn't know, because you never asked. Ultimately, we need to pursue these conversations with clients, seeking to understand the strategic drivers behind their projects and their expectations about the working relationship. Then we're better positioned to translate the true value of our work—business results, technical mastery, and outstanding client experiences all packaged in high-value, integrated strategies. I think that turning our focus to value creation is a largely untapped opportunity for differentiating our firms. Of course, most will stay the course. That's your opening.